This research aims to study consumer's behavior on buying online car casualty insurance. The sample group was 400 respondents which were selected by convenience sampling method. Questionnaires were used as a research instrument while chi square was used as a statistical tool for the hypothesis testing.The research revealed two major findings which were 1) there were significant differences between customer's technological acceptance and consumer's behavior on buying online car casualty insurance and 2) there were significant differences between customer's trust and consumer's behavior as well. Kulachet Mongkol. "Technological Acceptance and Consumer's Behavior on Buying Online Insurance." 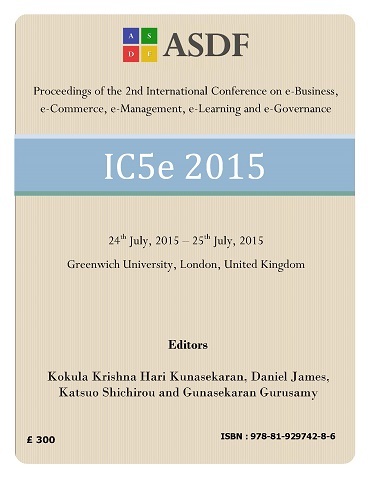 International Conference on eBusiness, eCommerce, eManagement, eLearning and eGovernance (2015): 112-116. Print.